With Christmas right around the corner, I needed to make our Christmas stockings. 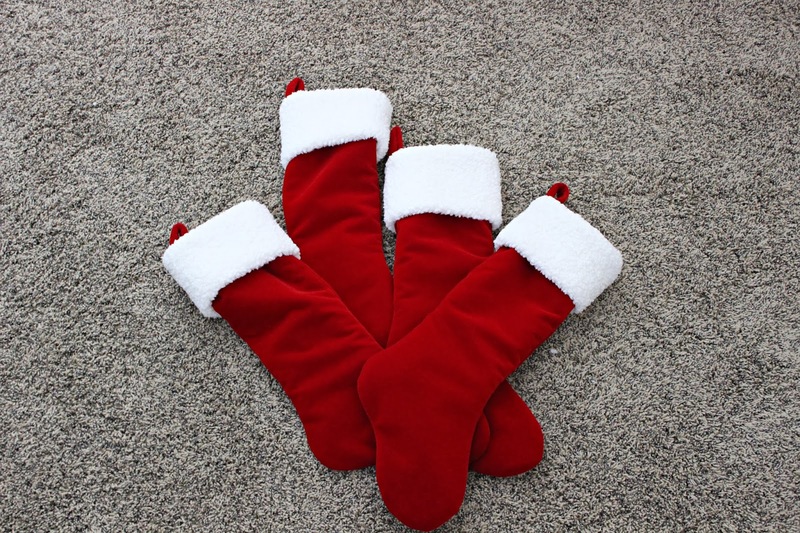 But the hubby wanted the classic stocking with red velvet and white fluffy cuff. 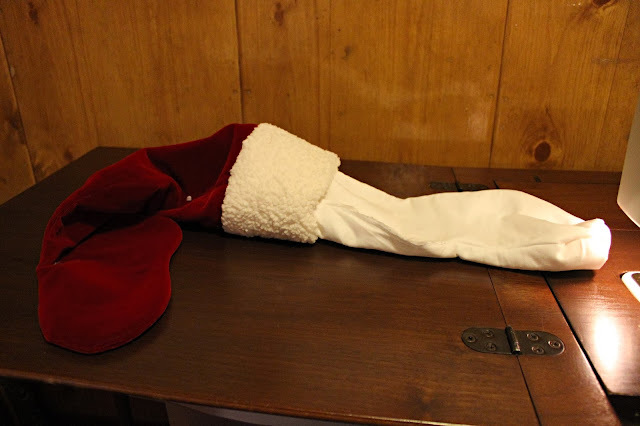 After searching the internet, I came across this tutorial on adding a cuff to a stocking by Cluck Cluck Sew. But I still needed a pattern for the stocking, most tutorial used a stocking to make the stocking pattern. 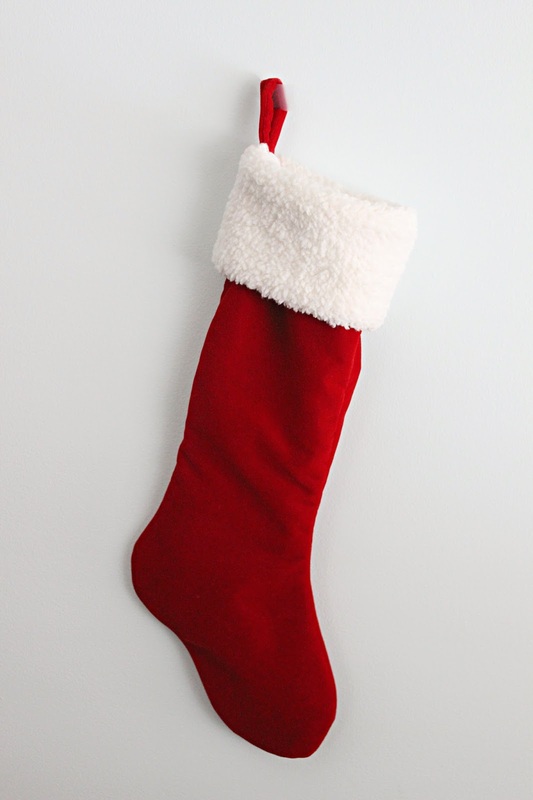 What if you do not have a stocking in the first place? Or I thought some patterns were not big enough for what I wanted. Long story short, I created my own stocking pattern and wanted to share it with you! 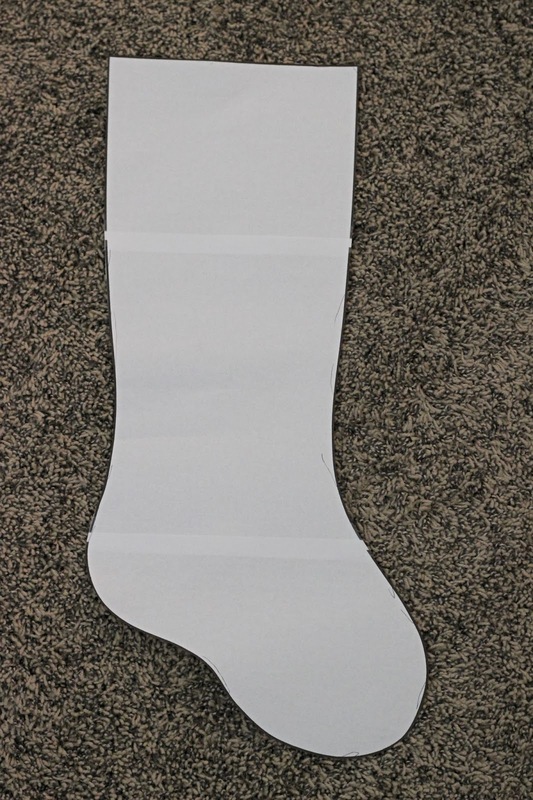 Here is the Stocking Pattern, copy and tape together. I traced onto cardboard and used that to trace onto the fabric. 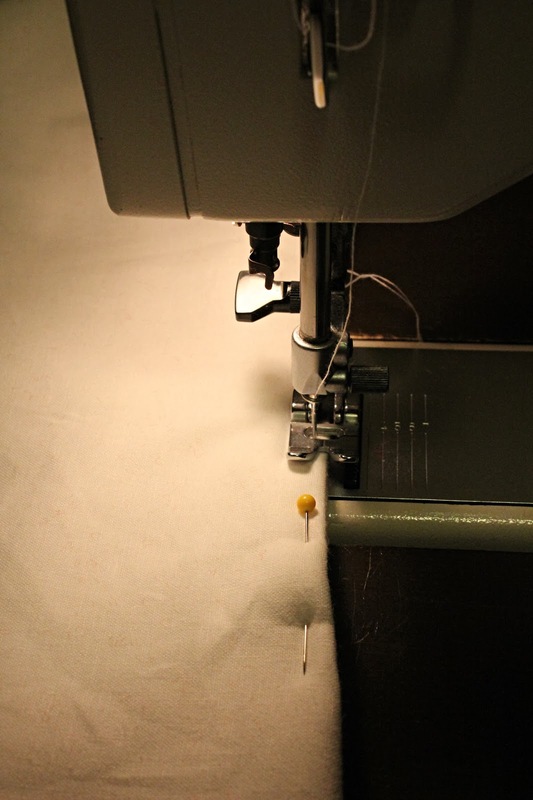 After cutting all fabric, take the main fabric and place right sides together. 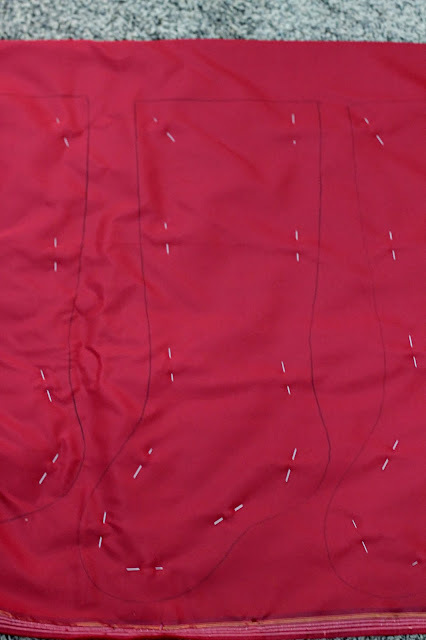 Sew 1/4″ seam allowance around sides, leaving the top open. Then turn fabric right side out. 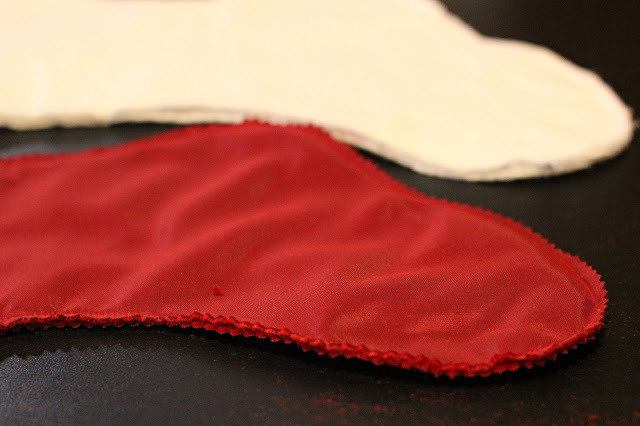 With lining fabric, place right sides together put batting on both sides of fabric (making a sandwich). Sew 1/4″ seam allowance around sides, leaving a 3″ hole in the side for turning. Leave right side in. 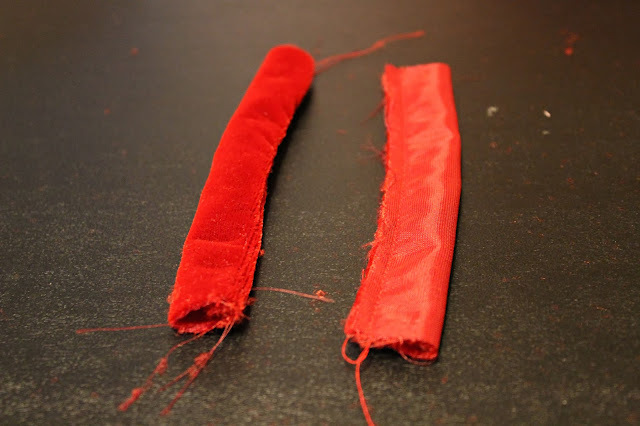 Take your cuff fabric, place 9″ ends together (right sides), sew 1/4″ seam allowance. Turn the cuff right side out, so its folded at the bottom and raw edges on the top. 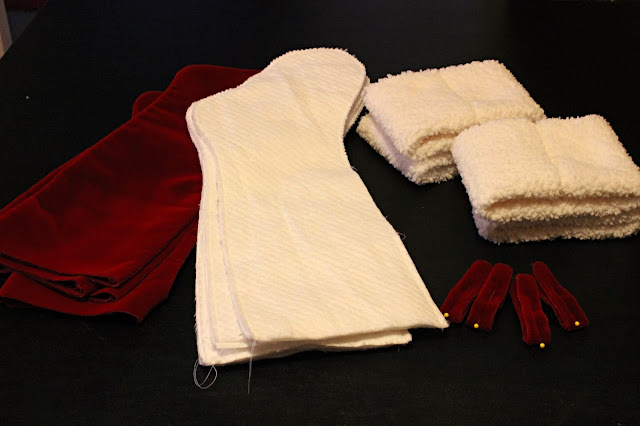 Now sew together 6″ ends of the tab (with right sides together), using a 1/4″ seam allowance. 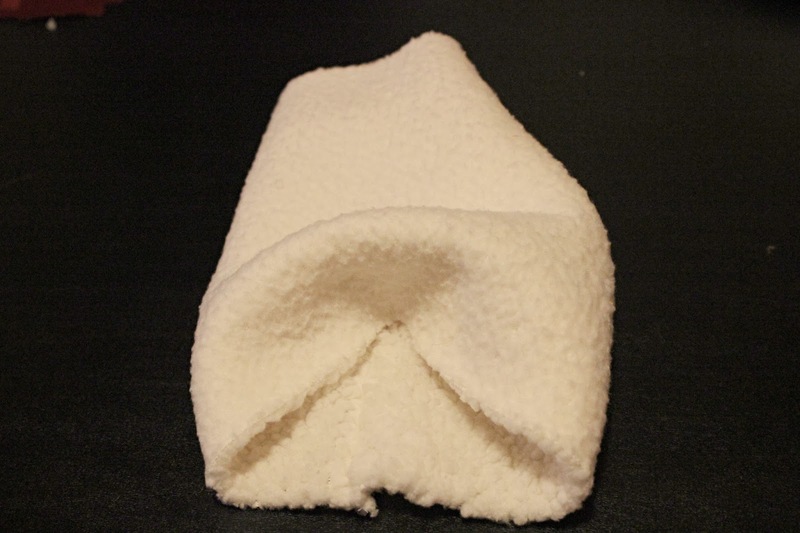 Turn fabric right side out, so its folded at bottom and raw edges on top. You can now pin your tab to the cuff/main fabric. 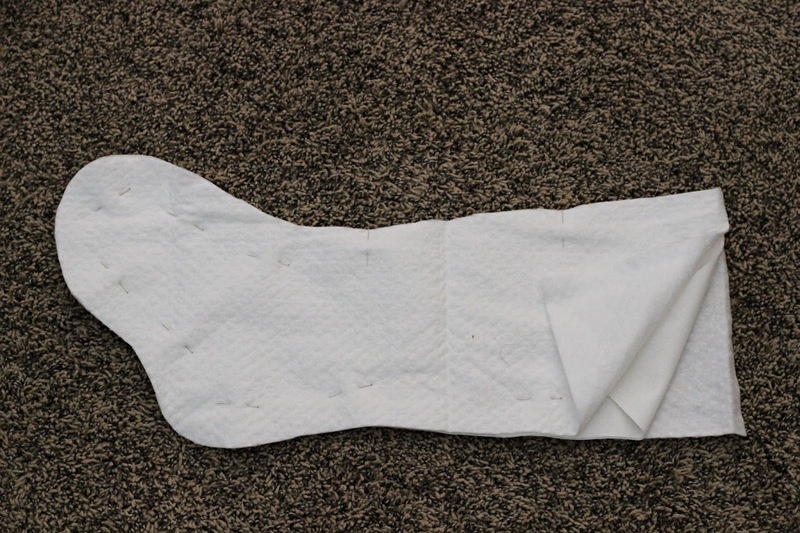 Stick the whole thing into the lining fabric. The main fabric and lining should be right sides together. Pin all raw edges together at the top, make sure seams are lined up on lining and main fabric. 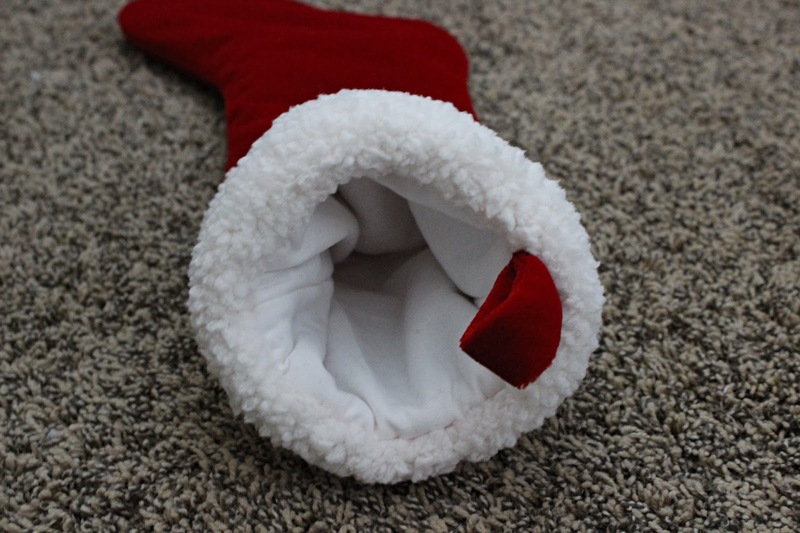 TIP: Make sure your main stocking fabric is inside the lining fabric. 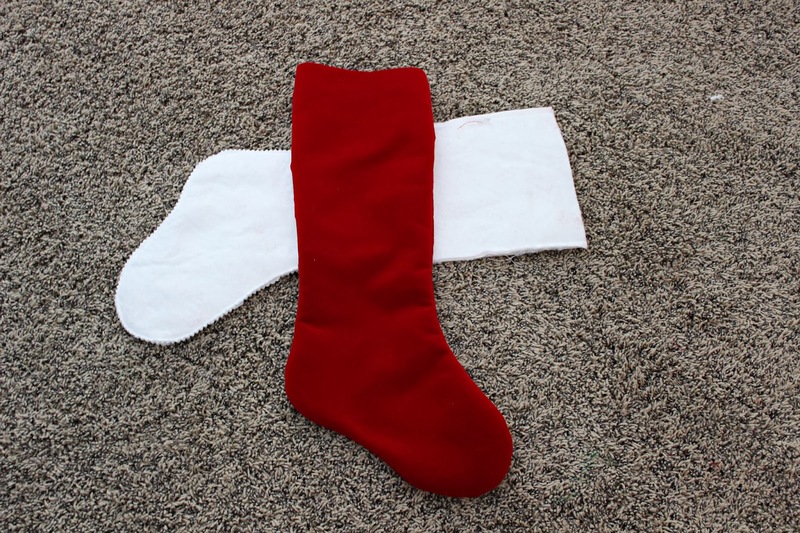 Sew all the way around the stocking using 3/8″ to 1/2″ seam allowance. Make sure all layers are sew together. 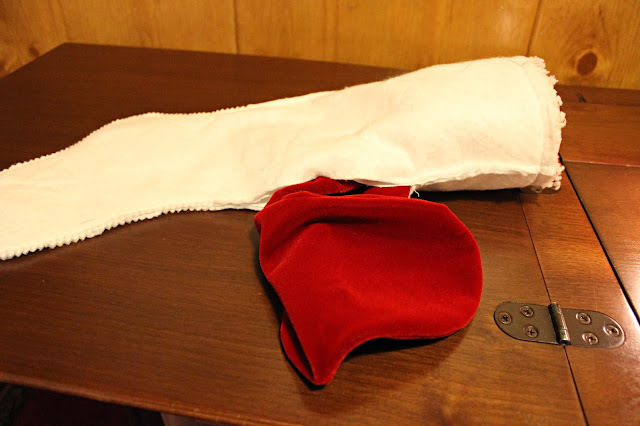 Turn the whole things right side out, using the hole left in the lining fabric. After finished turning, sew up the hole left in the lining fabric. 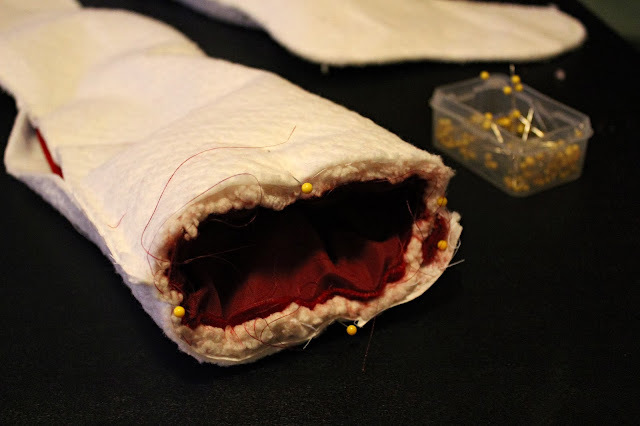 You do not need to turn all of the lining fabric, just enough that you can sew the hole. 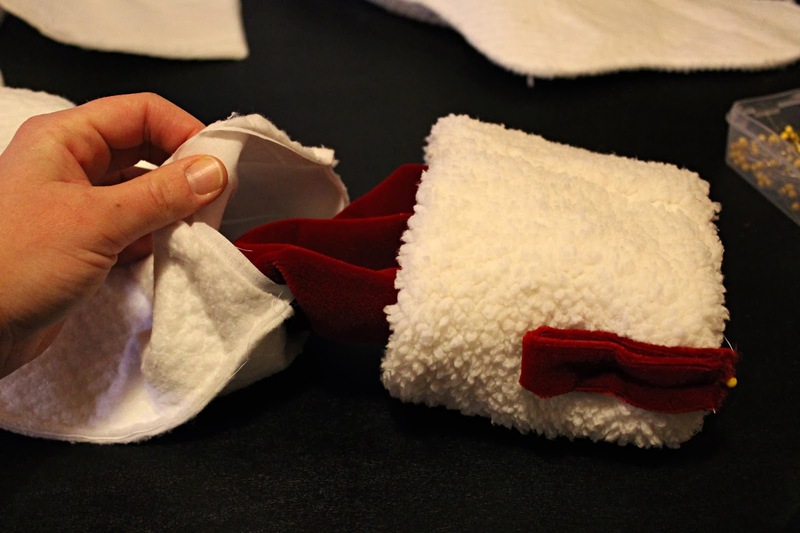 To finish, stuff the lining inside the stocking and fold the cuff down. Press the edges as needed. When you are done, you will have a nice stocking all ready for Christmas! Thanks for the great tutorial! 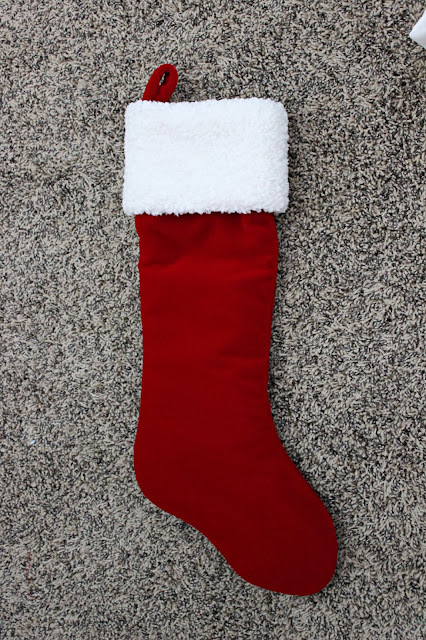 With your advice, I made an awesome Christmas stocking today! 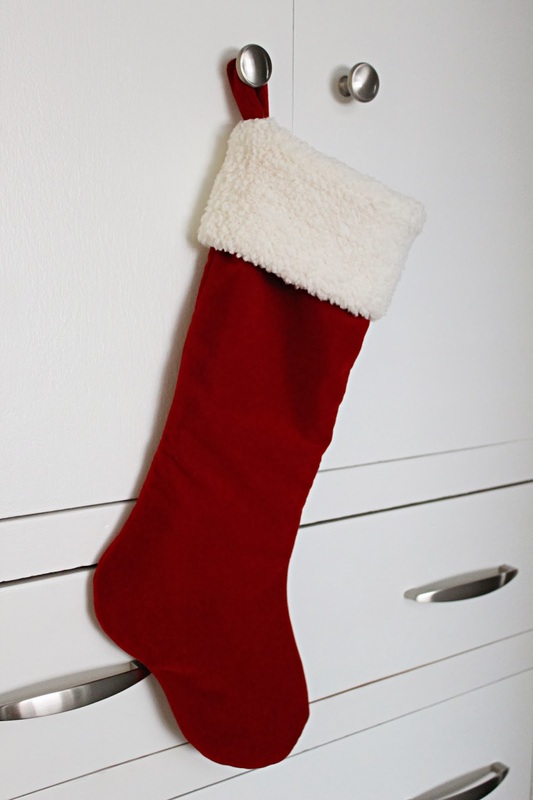 Hi Shari, I am really glad you had a wonderful stocking just in time for Christmas!